Husband turned 31 on Sunday and I have guilt because I was exhausted from a busy week and we didn’t have enough money to buy him a real present. But I did bake him a cake, and he got cards from all of us. ONE helped with the decorations. Obviously. Last year I gave him an outdoor wireless speaker from Brookstone. This year I gave him love and a whole lot of children. I don’t feel like I give the man enough credit, so that is why I’m writing this post. 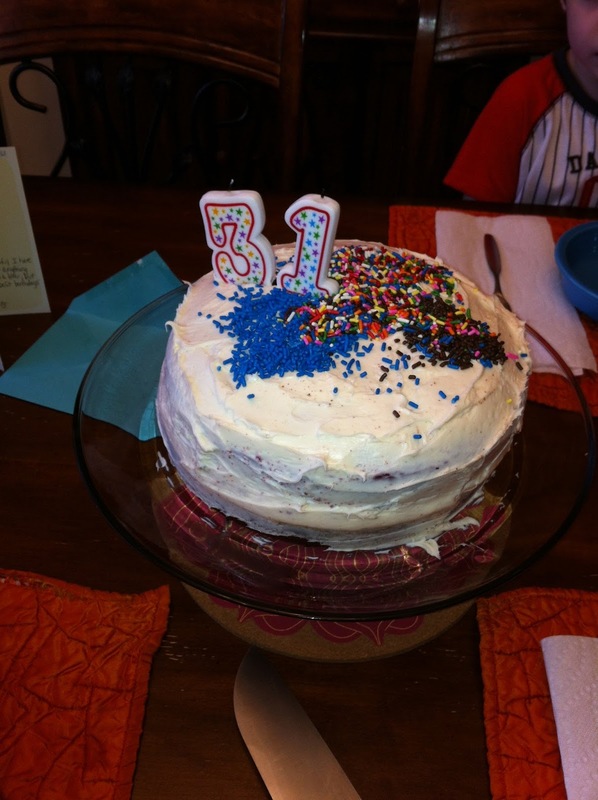 He got kind of shafted for his birthday, and the very next day I asked him to stop at the grocery store on his way home. Then I sent him the list. 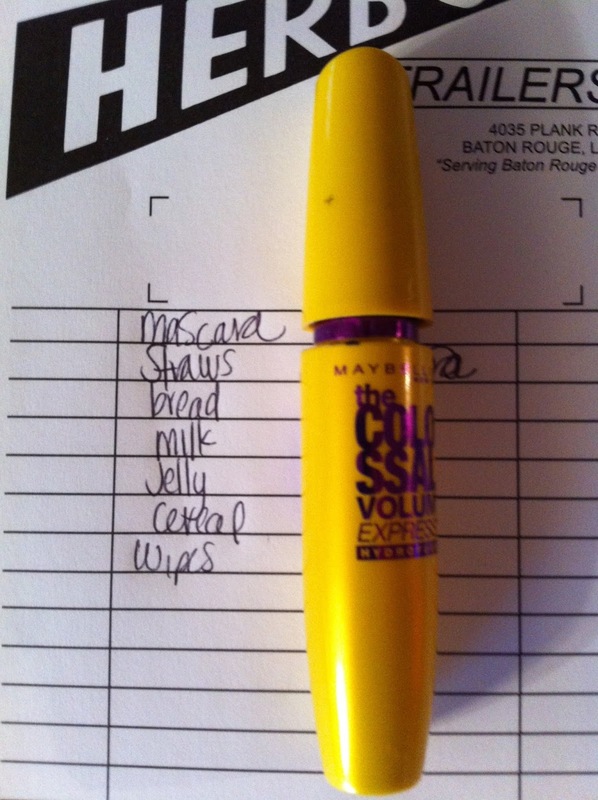 I wanted to include the tube of mascara in the picture so he could see what kind to look for, and I gave specific instructions not to get the waterproof kind. He never uttered a word of complaint for having to hunt for mascara in the makeup aisle, and he brought home exactly what I asked for. That’s a real man. He deserves a high-five the next time you see him.